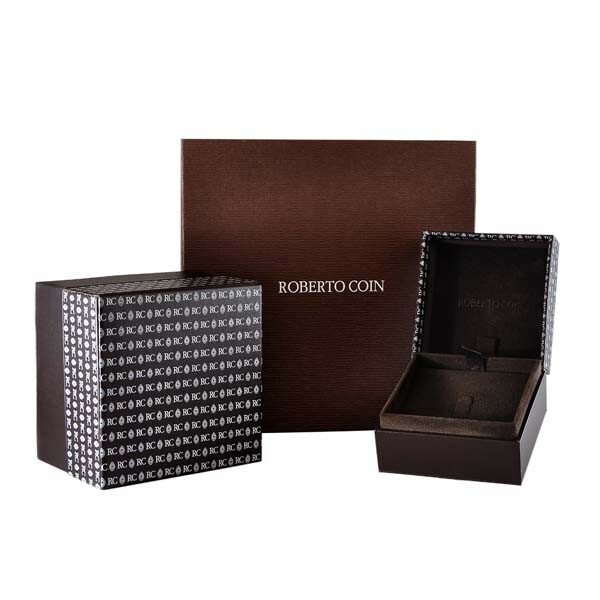 Roberto Coin has designed a cross pendant to lift your soul! Hanging sideways on an adjustable chain, this 18kt white gold piece of religious jewelry reflects your faith beautifully. 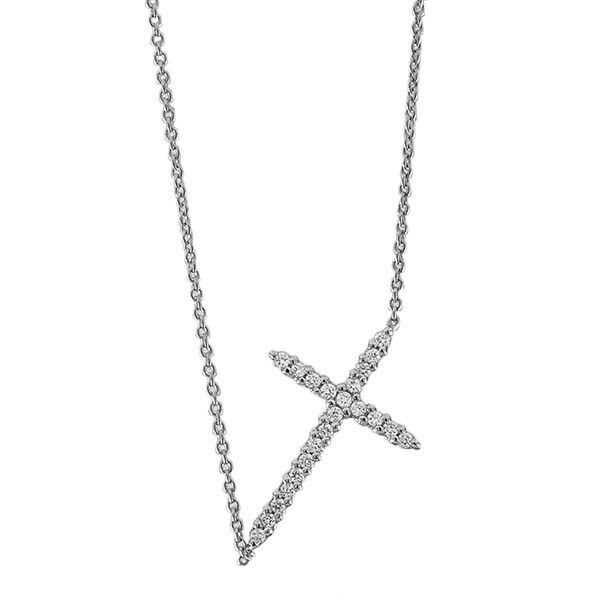 The cross is lined with elegant white diamonds that make this Robert Coin pendant necklace really shine bright.